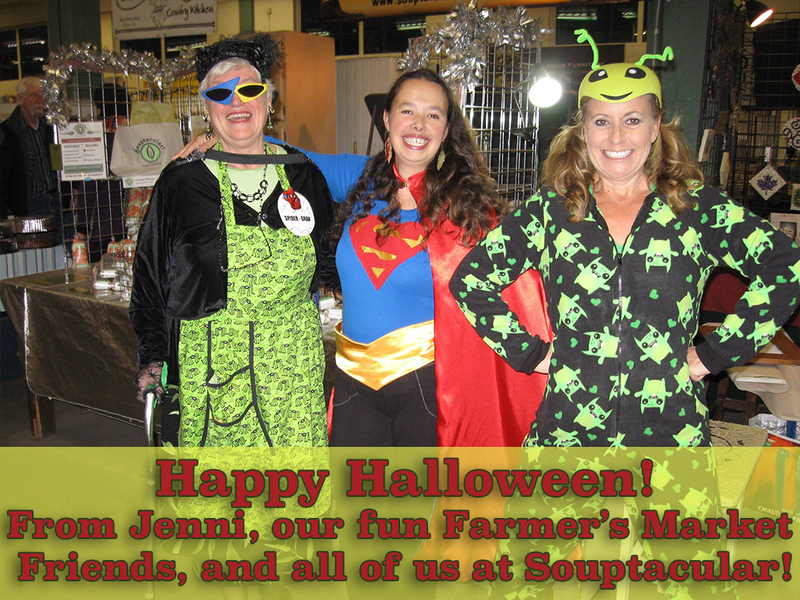 Happy Halloween from all of us at Souptacular! 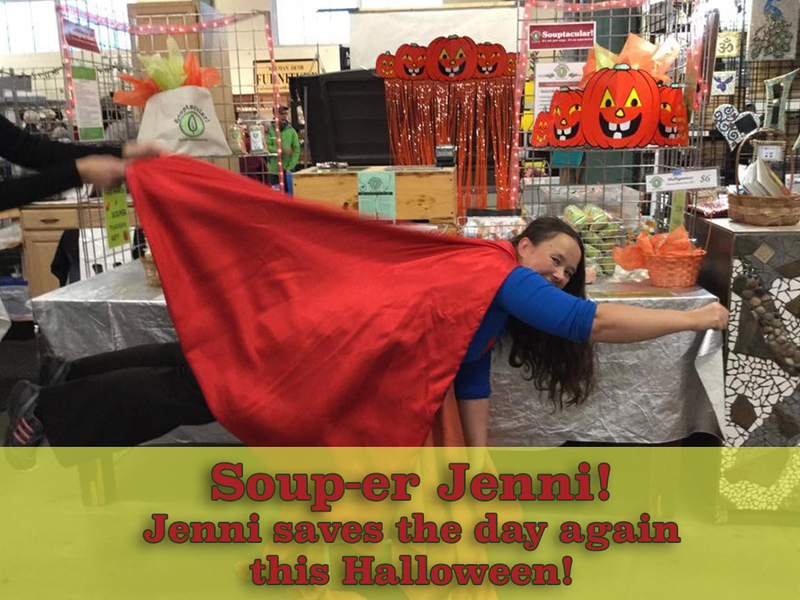 We always have a lot of fun at the market this time of year, and we LOVE Jenni’s Soup-er Woman costume! When your soup is nearly ready (45 minutes before serving), make the dough. Mix the dry ingredients in a bowl. Cut the cutter into small pieces and pulse it into the flour, or rub it in using your fingers. Then begin adding the yogurt or liquid slowly, just until the mixture forms a ball. Turn the dough onto a floured surface and kneed a few times. Don’t add too much flour. When your dough is ready, pinch a small amount off and form into the same you want. 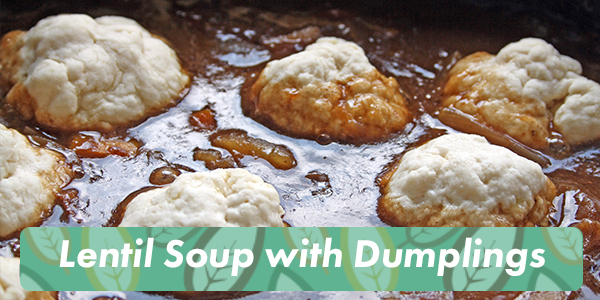 Drop your dumplings into the soup, cover the crock pot or sauce pan, and cook undisturbed until they are cooked and a toothpick comes out clean, about 10-15 minutes. 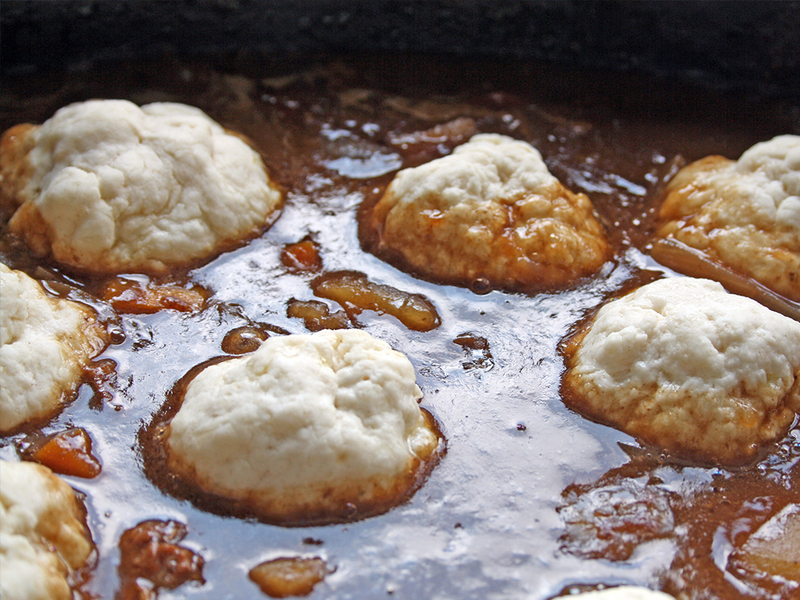 Larger dumplings will take longer to cook. The dumplings in this picture were made in a thicker broth. Don’t hesitate to add ingredients to your soup, including meats and vegetables, to create the flavour you want. Have a safe and Happy Halloween with your family and friends today!